Weed free, beautiful, affordable and durable paving! Whatever vision you may have for your home the team at Dee-Print Driveways in Flintshire can help you. Dee-Print Driveways is a family run business, and we specialise in the installation of Driveways, in particular, Pattern Imprinted Concrete. 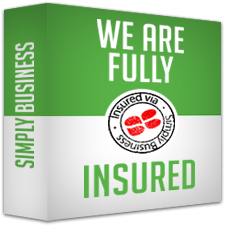 We have significant experience in this industry and we pride ourselves on our level of performance and customer service with many happy customers to vouch for our work. However, it's not just Pattern Imprinted Concrete that we supply, but we also offer Wall Crete and Resin Bonded Aggregate surfaces. We realise the importance of a quality product and a quality service which is why we only use and offer the best materials when creating your driveway. We provide a wide range of styles and colours, with the different variations offered almost endless. The team encourage feedback and questions when undertaking a project and we realise the importance of providing a driveway that really is your own, therefore we realise some customisation may well be needed. We are more than happy to tailor a driveway project to an idea you may have. When choosing the material you want to use on your driveway it is important to be given all of the information and all of the choices as well as the right advice. All of the driveways we construct are built using the highest quality materials. It is important the chosen materials are practical, durable and attractive. The driveway projects in Flintshire we undertake will ultimately look great and remain in perfect condition for years to come. It is important to remember when changing your home, whether it's with a new driveway, conservatory, loft conversion or extension, to work with a professional, reputable company. This project will add value to your house as well as making a difference to how much you enjoy and take pride in your home and the way you live. Dee-Print Driveways have a fantastic reputation in the Wirral area with a great track record of completed driveways. It is important to remember that a driveway will very often form the approach to your home, which makes it vital the areas of paving and driveway is constructed meticulously. The Dee-Print team have many years of experience in the building industry and don't just realise the importance of a quality driveway, but also how to construct one. The Dee-Print Driveways team will listen to what you are trying to achieve with your project and buy into your vision in order to help you achieve the best possible result. During the design process we will always provide honest advice and possibly superior alternatives where necessary. By listening and understanding we can make your vision a reality no matter how large or small the project maybe. Because Dee-Print Driveways are a small family business we are able to offer that personal touch that many of the larger, particularly national companies lack. We are able to offer more competitive prices as well as that personal service, primarily because we don't employ sales staff, our staff will consult with you to help you rather than sell to you. 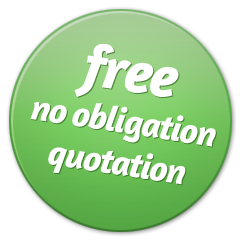 During our initial consultation you will be given a free no obligation estimate. This will outline cost of your driveway and then the decision is yours. If the estimate should meet your approval, a written quotation will be provided and we would hope we would soon be building another Driveway in Flintshire.